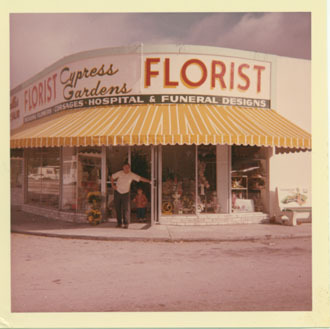 Cypress Gardens Flower Shop, your FTD florist in Miami, is proud to offer a wide arrangement of gifts and flowers for your gift giving needs including wedding flowers and birthday flowers and gifts. Our staff can make any occasion memorable with a professionally designed floral arrangement. We all know to send flowers on Easter, Valentines Day, Mother's Day, as well as for Get Well wishes, birthdays and anniversaries, but why not make any day extra special with beautiful flowers? 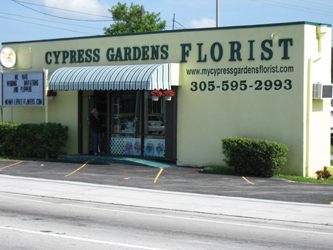 Cypress Gardens Flower Shop offers same day flower delivery to Miami and the surrounding area. Cypress Gardens Flower Shop can help send the perfect gift to show your loved ones how much you care. We are proud to be serving the Miami area and offer a large selection of birthday and new baby flowers and gifts for you to choose from. Visit the Cypress Gardens Flower Shop website.